Special ‘Merica Promotions & Workshops! IT’S AMERICA’S BIRTHDAY OF FREEDOM!!! I would say….100% of the population would benefit from learning about these topics! We live in a crazy time in the world where pretty much everyone struggles in these areas if they’re not already intentionally addressing them. Guess what?!?!?! They are FREE to be a part of if you join our team with a challenge pack! That means all you need to do is invest in the tools you need to feel better and get results and you get the coaching and training for FREE! This is unheard of! These kinds of workshops usually cost hundreds to participate in and that’s just for the information. It took me YEARS to learn all I have in these areas. Now I want to be the solution I was praying for years ago and never found. Challenge Pack Promotion through July 11th! When you choose to get started with a Challenge Pack that already saves you $130 (I’m not exaggerating! ), I’m tacking on an additional $15 off when you register with a wholesale membership! 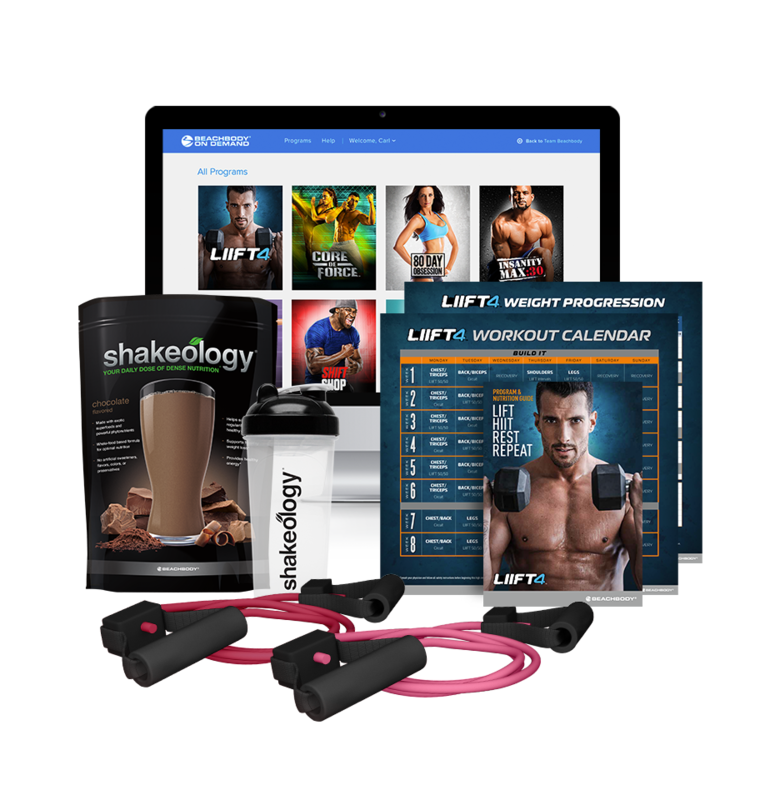 With this membership, in the future, you get everything including your future Shakeology at wholesale pricing! EPIC! Free Access to ME! Your personal coach plus our team accountability programs. AAAAND FREE ACCESS TO OUR SUMMER WELLNESS WORKSHOPS! LIIFT4 is getting everyone SOOO EXCITED about this revolutionary approach to sustainable fitness…get ripped, get shredded in only 4 days a week of workouts, simple nutrition, with a built in cheat day! This is an 8-week fitness program with 30-40 minute workouts that combine HIIT (High Intensity Interval Training) + Heavy Lifting to help you burn fat and build muscle in the most efficient way possible! ALL FROM HOME! Or the Beach…or a hotel…or the park…or anywhere you want to workout really! When you purchase this challenge pack, you will get $10 off PLUS $10 back for a total of $20 of additional savings! This is on top of the $110 savings you get with this challenge pack already! ***There are additional challenge pack options that include our performance line supplements such as our proprietary BCAA’s formula, energize plant based preworkout formula, and muscle recharge formula. Ask me for details! EXCLUSIVE COACH TEST GROUP WITH TRAINER JOEL FREEMAN! When you take advantage of the above PROMO with your wholesale coach membership, you get access to a private LIIFT4 TEST GROUP with the trainer Joel Freeman himself! You can have first hand access to ask him any questions along the way, get inside training and tips, and see what your body is really capable of achieving in only 8 weeks! How epic is that?! SUPER SATURDAY IS HAPPENING ON JULY 7TH! THE COLOR BAR SALON VENDOR EVENT! Come visit me on Wednesday, July 11, 2018 Between 9am-12pm at The Color Bar Salon! I’ll have lots of samples you can take home and you can come ask me any questions about what I do and how I may be able to help you reach your health & fitness goals! So….there you go! LOTS of exciting info! There has never been a better time to join our team! So much momentum happening to help you be successful! Feel free to email me at thehealthpatriot@gmail.com or text me at 209-840-0900 (just tell me who you are when you do!). Let’s get you moving towards being the happiest, healthiest, strongest version of yourself! !